SARP is a non-profit and non-political voluntary and development organization working nationally particularly in rural areas. It has been registered with the Samaj Seba Adidaptar, District Samaj Seba Office, Dhaka. Bearing Registration No Da-03985. Its activities includes, fisheries, poverty alleviation, health, HIV/ALDS, education, women and children development, disability rehabilitation, environment and afforestation, disaster management, relief and rehabilitation, social awareness, and Human Resource Development. Network for Social Advancement for Rural Poor (SARP) is a non-government, non-profit humanitarian development agency with poverty alleviation, education, literacy, training, health services, rehabilitation, agriculture and rural development, preservation and development of environment, social development and moral awareness raising, research and publication as main focus areas. Since, its inception in 1997 SARP has been implementing a number of development program including fisheries, poverty alleviation, health, education, women and children development, disability rehabilitation, environment and a forestation, disaster management, relief and rehabilitation, social awareness, and Human Resource Development and so on with the aim of poverty alleviation, improvement of literacy, environment, health, HIV/AIDS and social awareness raising, human and skill development of the poor, landless and marginal farmers. SARP dreams for a society where every individual will be able to live in an atmosphere of peace and harmony, free from exploitation, oppression and starvation; where every individual will get equal and rightful shares to the resources belonging to the society. It believes that the active and critical participation of the non-privileged section of the society can ensure the sustained developmental efforts in the rural areas. 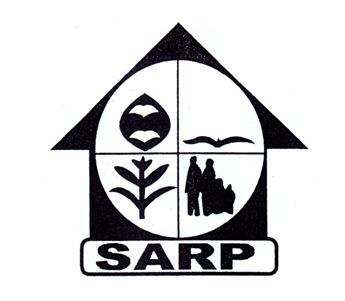 SARP since it’s beginning is working for the socio-economic development of the people through its various programs. SARP visualizes a just and advanced society with difference in Bangladesh, established on moral and human values, popular participation and sound environment where people of the society enjoy an equal opportunity for actualization and self-development. To improve economic status of the destitute of the society through income generating activities and to ensure participation of the poor in such activities or programs so that they may be able to stand on their own feet. To provide assistance for generating income and /or employment opportunities for the landless and the asset less for alleviating poverty, in various forms and manners, including financial, institutional, advisory and training. To motivate the different cross section of the society and to come forward to address the problem of illiteracy i.e. to remove the illiteracy from the society. To improve basic health awareness and general health condition of the poor through motivational program and training, supply of pure drinking water, sanitation facilities, and primary heath care and to rehabilitate the physically and mentally retarded people. To create awareness among thç members of the groups about their human rights, social justice and socio- economic development. To support, promote and sponsor innovative programs and projects for creating awareness for the improvement in the quality of life of the poor and for self-reliance in the process of creating productive employment opportunities. To initiate, undertake and promote research activities directed towards poverty alleviation and employment generation, to organize seminars, workshops, and conferences and to undertake publication of reports, books etc. in furtherance of the objectives of SARP. To do all such other lawful things as are conducive and/or incidental to furthering the growth and the attainment of the objectives of SARP. Improved socio-economic status of the rural poor and underprivileged people, emphasizing the women and children and also empowerment through undertaking appropriate and sustainable programs. f) To develop unity, solidarity and reciprocal cooperation. g) To establish social justice and reciprocal cooperation. h) To increase Gender relations. i) To improve environmental pollution condition. j) To develop future citizens. k) To conduct disaster preparedness and management activities etc. The Executive Body generally pursues and carries out the objectives of SARP. 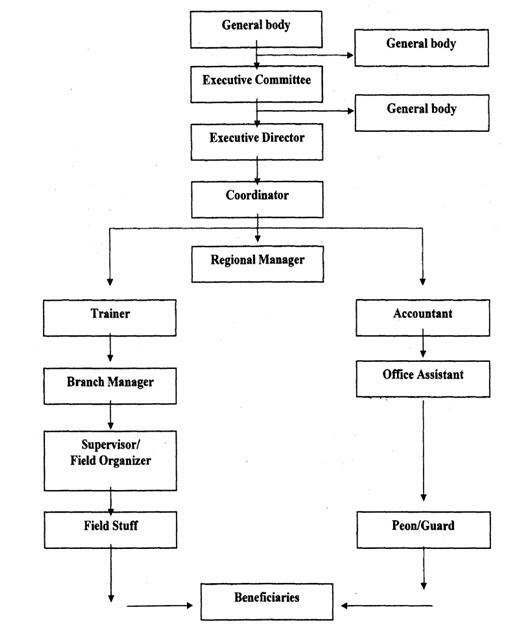 This body is responsible for the management and administration of the affairs of SARP. It determines the direction and scope of the activities of SARP. Almost in every month the EB holds a meeting. As per its Constitution, SALRP has a seven-member Executive Body under the general guidance of which all the activities of SARP are undertaken. To execute the tasks of SARP efficient and hardworking group are engaged. They are dedicated for the organization and spend their labor and time for the well-being of the organization. SARP’s activities and daily operations are at present carried out by 20 management staff. Gradually and over time, there will be increased in the number of personnel through gaining of experiences, increase in work load, expansion in its operations and future needs and requirements of SARP. Apart from regular staff SARP has a number of volunteers. Besides, SARP has also a team of advisors who are have the expertise in various fields. The General council of 35 members of the organization is the highest policy formulation body and meets once in a year to, review and budgets, expenditures and progresses and also formulate policy decisions and elects Executive Committee for 2 years. The Executive Committee (EC) of 7 members meets quarterly to approve and review the quarterly plans, budgets expenditures and progresses and makes policy decisions. The Executive Director in consultation with the Executive Committee materializes the decision through his staff and volunteers. All the funds of this organization is deposited in its Mother Bank account which is operated by the joint signature as a rule of constitution and fund are with drawn as per decisions of the Executive committee meeting account are maintained as per the accounting principles and audit standard. Beneficiaries are less and have poor people. Who have less than 0.50 acre of land, provide manual labor at least 120 day in a year. At present SARP 40 female groups and Male groups 30 & Total members 1500. Education is the fundamental right of every individual. It is the backbone of a nation. Only education can remove superstition from a society and enlighten the whole society. It is essential for overall development of a country. When a nation is well educated then they are called Developed Human Resource. SARP always emphasize this program so that other programs can be easily implemented because it is the harbinger of all the programs. SARP has undertaken the literacy program for the illiterate adult-male and female as well as for the children. Besides the above programs SARP has undertaken general literacy campaign among the group members. Sound health is essential for implementing any initiative. SARP has undertaken a health program to improve the health condition of its group members in particular and poor people in general. Health awareness rising is one of the important components of the SARP health program. Through weekly group meetings and other discussion meetings SARP imparts the ktiowledge of primary health care, nutrition, cleanliness, preparation of oral saline etc. Due to the health awareness among the group members their general health conditions are improving day by day. Prevalence of water -borne diseases is now low. Apart from health awareness raising SARP organizes a health program for free treatment at Savar & Dhamri, Dhaka dist. People are now more health conscious and they have developed good hygienic habits. Disability program is one of the important programs of SARP. This program includes identification of PWDs through survey, awareness rising among parents, family members, neighbors to change the attitude and perception regarding PWDs, providing credit to the PWDs families and primary health care support to PWDs. Under this program SARP first conducted a survey on the 500 families from group members of SARP to identify the PWDs. Through this survey l46Ds were identified. Among them 42 are visually impared, 46 are physically handicapped, 37 have speech & hearing problem and 21 are intellectually impared. i) Awareness raising: SARP started awareness raising program among the SARP group members in general and the parents & family members of the PWDs in particular so that they can understand their responsibility towards the PWDs. SARP is trying to attain a mass awareness regarding PWDs in the society. Sometimes it organizes the PWDs and encourage them to live in the society like others. Generally awareness raising program is conducted by the Field Organizers of SARP. ii) Primary health care: SARP has undertaken a program of primary health care for the PWDs. Twenty five PWDs from Dhamrai area of Dhaka district have been provided primary health care as per our ability and capacity. Though our support is inadequate they are required more medicare which is not affordable for them. But due to financial constraint SARP is also unable to continue proper treatment. Disability program of SARP is in a primary stage. We are utilizing its staff for implementing the disability program at this level. In future we have the plan to intensify and expand the program. The poor people who are unable to get health services due to their economic and social inability of the project area are much benefited from this project. This project is creating an easy access of medical services for the rural poor of the area. They are getting proper and easy medical services at low cost. In addition, there is an arrangement to reduce the cost by 20%-90% for the helpless poor. Women and Children are taking into special consideration under this service. Proper diagnosis and right treatment are given priority. By and large, by engaging private medical expert and health assistant of SARP. There is a special fund for the poor who cannot pay to meet their expenses. To reduce cost of 20%-90% for those who are really unable to pay. There is an arrangement to supply free medicine. The visiting consultants are asked to reduce their fees and in some cases even the reduced fees and cost adjusted from the special fund for the poor. Rehabilitation of the retarded people. HIV/ AIDS program is an important program of SARP. This program includes identification of survey, awareness rising among local leaders, parents, family members, youth and neighbors to change the attitude of HIV/AIDS. Under this program SARP first conducted a survey on the 300 families from group members of SARP to know their HIV/AIDS knowledge. Through this survey SARP arranged two seminars on HIV/AIDS. From this program people of these areas awarded about HIV and AIDS and also knew the protection system. The flood is a common phenomenon in our country in rainy season. Some time is comes silently and some times it comes devastatingly. The present flood comes devastatingly and affected more over the whole country. The condition of North-Bangle, Middle areas of country and low land of Dhaka is so miserable. They had no food and water. They were waiting for Government relief. But this was so limited. SARP planned and distributed dry food saline, medicine and dinking water in affected areas. SARP has undertaken for relief and rehabilitation program. As a part of this program a project: “Emergency Relief Operation For Disaster Victims” was undertaken at i) Dhamrai Upazila ii) Savar Upazila iii) Keranigonj Under Dhaka District. This project was continued 30 August -2007 to 29 September-2007. (One Month). Families. Successfully completed the Project implantation officer, local union Chairman, other local leaders and beneficiaries were also present. Next crop 50 Families 50 Families Successfully completed the Project implantation officer, local union Chairman, other local leaders and beneficiaries were also present. affected people 500 Families 500 Families Successfully completed the Project implantation officer, local union Chairman, other local leaders and beneficiaries were also present. About 80% of the population of Bangladesh is living in rural areas. The main occupation is agriculture. Moreover rice is the main food of country. For poverty alleviation and development .of the country agricultural development is must. SARP has undertaken a number of agricultural projects to provide service in agriculture/rice reduction, animal husbandry, livestock, fishery, seeds and fertilizer sector to partic pate in national development and agro-socio-economic up liftmen of farmers in Bangladesh entailing rural agro-enterprises development and marketing. SARP provides technical assistance to farmers on modem farming systems and train on new advanced appropriate technology in fishery and livestock Industry. At present, SARP is implementing some projects under the Fishery Development Program. To provide irrigation facilities to the marginal farmers and share-croppers at low cost and thus helping the agricultural development SARP runs two irrigation projects at Dhamrai of Dhaka dist. In 2004, 18 acres of land and in total 87 acres(cumulative) of land has been irrigated under this project. Annually about 40 tons of additional rice are being produced due to this project. It has managed shallow tube-well for irrigation facilities of the pàor farmers. About 50 families are getting benefit from this project. This project is helping to eradicate the poverty of marginal farmers in the concerned areas. Fish cultivation is very important income generating sector in Bangladesh. Fish is a great source of protein. Fish production can be instrumental for eradication of poverty. If poor people can be supported for fish culture with appropriate technology they may be able to generate income, which may lead them to be self-reliant. Government is also encouraging and supporting fish production. In 1999 SARP undertook a fish culture project in Dhamrai of Dhaka district. About seventy poor families were included in the project as beneficiaries .Currently SARP is implementing two fish projects in Dhamrai & Keranigonj under Dhaka district and in at present our fish project has seven ponds with about seven acre of land. In the year 2004 SARP implemented its fish culture project in collaboration with Local Donner. We supplied I lac 20 thousand fingerlings for fish culture in Hail Dhamrai, Keranigonj. Through this project SARP is participating national fish culture program in Low Lying area of Dhamrai & Keranigonj. Women development is very important for the social development of a country. SARP from the beginning has been giving importance to this program. Women are most vulnerable section of the society SARP therefore tries to address the women issues and ensure their rights in the society. SARP believes that for women development and empowerment education, awareness, economic activities are must. Through female- group meetings awareness is raised. SARP organizes the women meetings for creation of awareness among them. Besides, SARP Often organizes the skill training program for the women. SARP has a nursery project in Savar & Dhamrai of Dhaka district, we have two nurseries to provide wetland seedlings. This project is working for wetland plantation for Savar & Dhamrai under DhakaDistrict. In the year 2004 we grew 10 types of wetland seedlings including Hijal, Barun, Jaam, Karaj, Kanjal, Petali, Arjun, Jarul, Bat,Kadam,Shimool etc. About 50 Thousand of various wetland saplings has been produced for plantation. In Savar and Dhamrai we also produced plane land saplings including Akashmoni, Jackfuit, Mehgoni, Raintree, Menzium etc. For preservation of environment plantation of trees is very important. Trees also have great economic implications. Therefore apart from our own nursery project our group members are also motivatedfor plantation of trees in their own land .ln the year 2007, 20000 (approx.) trees have been planted so far by the group members. This program helps the poor families to earn additional income as well as to maintain the healthy environment. Research and Publication is one of the important programs of SARP. In 1999, a study was conducted on the impact of small capital support program.The final study report was successfully completed in 2000. A book on poverty alleviation and social services has been published in the year 1999. In the year 2001 a survey on retarded. poor people was accomplished by SARP and a comprehensive report with policy recommendations on that survey was prepared. A baseline survey was conducted to identify the persons with disability (PWDs) in Dhamrai, Savar in 2004. In 2007 a baseline survey was conducted to identify the improvement of beneficiaries in Dhamrai, & Savar. From its inception, SARP is trying to develop the living condition of the poor people of Bangladesh through improvement of their life pattern by enhancement of personal as well as family earnings and raising awareness among themselves so that the overall socio-economic condition can be upgraded. SARP ‘s efforts in the field of development, poverty alleviation, education, health care, environment and agro fisheries have definitely created a positive impact in the project areas. SARP is proceeding towards its cherished goal.